The leather is a fabric that has been there since ages and is going to stay for long. It not only provides warmth during the winter and fall but also looks great with anything. This is why now you can spot leather on anything and everything. Do You need pants? You have the option of leather pants. Need coats? The leather is even there. It has covered the entire regime of clothes. But when it comes to sewing on to leather, it is not that easy. The leather is a different fabric in itself. For example, you cannot iron the seams to straighten them out. However, what you can do it mist the ‘wrong’ side of the leather. Then move the iron over it without exerting any pressure. Another way to get the seams flat is to use a hammer or a heavy roller. Let us first know a little about leather and sewing with it. Then we will explore the actual stitching process. These are the most important tool that you are going to need for sewing on leather. Leather needles have triangular points. Thus, they pierce leather and not tear it. Plus, they are very sharp and are extra-long. Leather doesn’t fray. So you don’t need to worry about getting a finish off the seams. However, if you do need to keep them in check, use glue or leather tape. You can also get a dissolvable glue marker, or you can also hold them with zippers. Also known as the leather marking pen, or grease pencil, this is the last item on the important items list. Leather needs unique cut out on it. So you need to trace the pattern on it before cutting it out. And that can be done only using a leather marking pen, that too on the wrong side of the leather. Although some people say that the tailor’s chalk is needed, it is not as good as a silver pen. It might seem amusing to you but yes, choosing which type of leather you want to sew is also very important. You can take out old leather from purses or jackets. Or if you’re going to make something from scratch, buy some new leather. Let us sew some leather. Above everything, leather is animal skin. It depicts the circumstances an animal has gone through. Therefore, do not expect it to be perfectly clean and flawless. It is going to have scars and marks on it. Plus, leather undergoes the process of stretching, tanning, and dying. However, don’t get too excited. Usually, all the marks and scars tend to be near the edges of the leather. Just identify them before you start cutting them out. When you are cutting out the pattern, you should not pin the pieces. This will create punctures in the leather, and that will not go away. And anyway, pins don’t go inside leather so easily. Therefore, first of all, trace the patterns. Next, do not layer the leather. Cut each piece from the leather roll separately. Do not fold and cut leather. Next, let us move on to stitching leather. 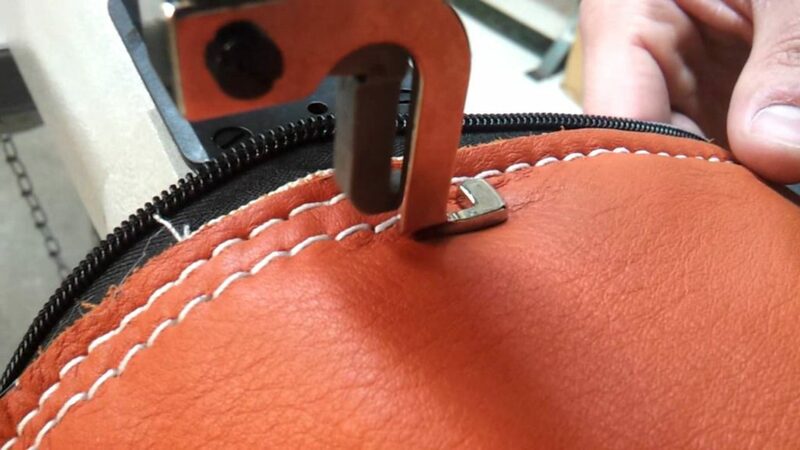 Before you start the stitching process, perform a test stitch on some scrap leather. Thus, you will get a head start on how you can stitch it. Try out with various sized needles and stitch lengths. Check which one gives the best result and which is the most convenient for you. 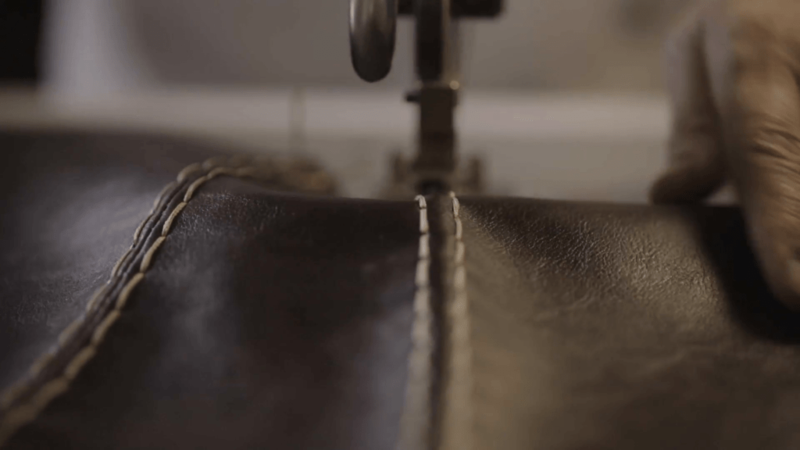 If you have had enough experience in stitching leather, you must have known by now that leather stretches. And the top piece does that more than the bottom. So when you are sewing, make sure you do not pull taut the leather. You must have observed that when you are sewing the smooth end, it slips. This can ruin all your efforts. So the best solution is to clip the piece to the top and the sides. Also, lower the needle into the leather before the actual stitching. Since it is leather and not clothes, the seams won’t go too much fray. So you don’t need to iron them out. In fact, you can use glue to stick any extra fibers at the edges. At times hammering or rolling of seams is also required. Since you cannot iron leather, therefore, the hammer will do the trick for you. Take a thick cutting board and hammer the leather above it. Buy individual leather sewing machine needles. This helps to penetrate the material much more efficiently. Plus, it does not tear the leather also. You should choose pure nylon or polyester to stitch it. If you use cotton to sew leather, it will deteriorate with time. 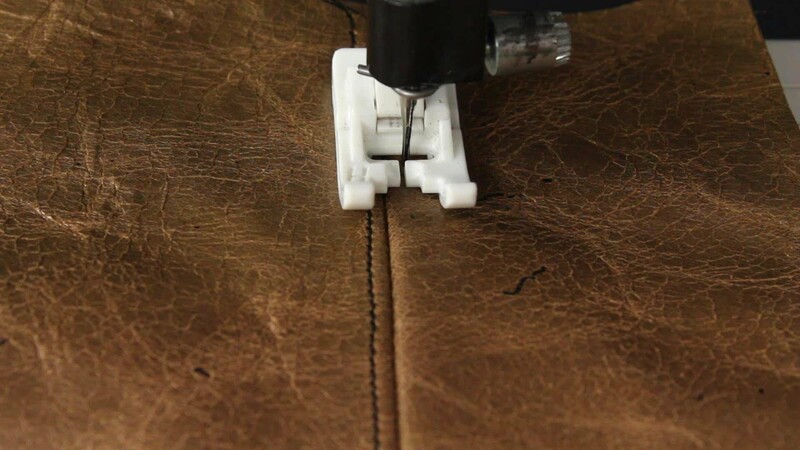 Here are the things that you must always adhere to when sewing on leather. There is no going back. Every stitch leaves a permanent mark in the leather. Don’t use pins to keep the leather in place. Use paper clips, binder clips, tape, hair clips or any other thing that does not pierce the leather yet is strong enough to hold it in place. Cut patterns one layer at a time. Do not attempt to cut various layers all at a time, as you do with paper. In case you are up for making patterns, do all the marking on the wrong side. No need to add seam finishes to the edges of the leather as there won’t be many frays. If at all you want a seam, use lapped seam, faux flat fell seam, single or double topstitched or even plain seams. 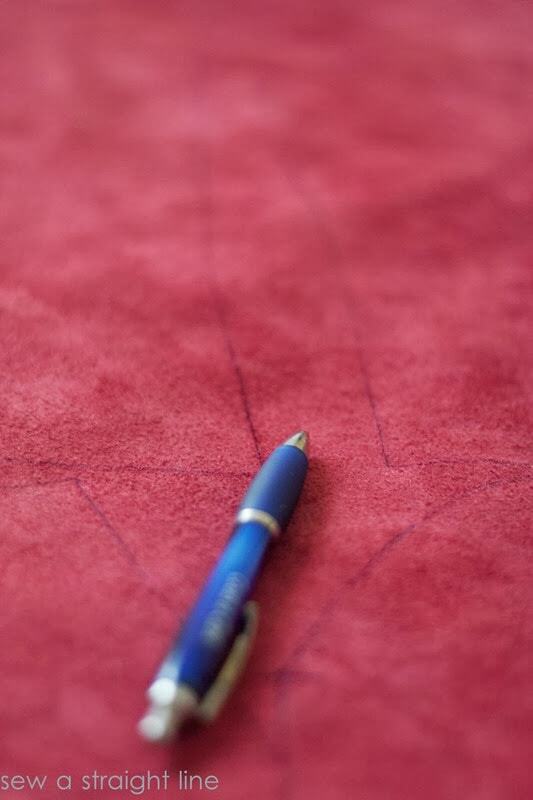 It all depends on the sort of seam you need and what final product you need. Use a scotch tape over the bottom of the universal foot. This, it will slide easily over the leather. And you are done now. Just think what you need to make and get started. I’ve created this website to help share my journey with you – hopefully you’ll find a bunch of useful advice, tips and guides. Thanks for visiting!